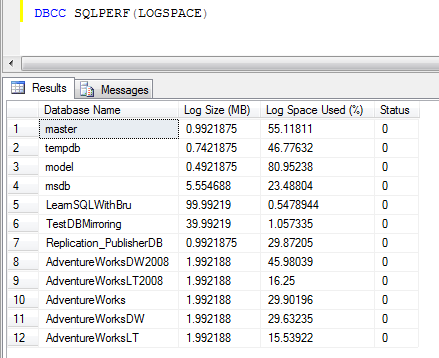 To query the space used by the transaction logs use the command, use DBCC SQLPERF(LOGSPACE). 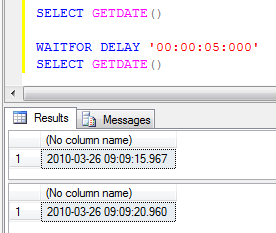 The command displays the Database Name, Log Size in Mega Bytes, the % of log file used, remember the value is not the size it is the percentage used from the actual space of the log files. 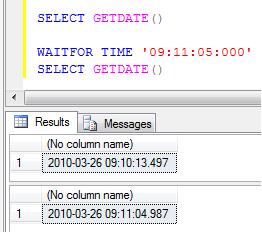 The results displayed is for all databases on the SQL Server instance. Monitoring transaction log files for the free space is a one of the very important tasks for a DBA.